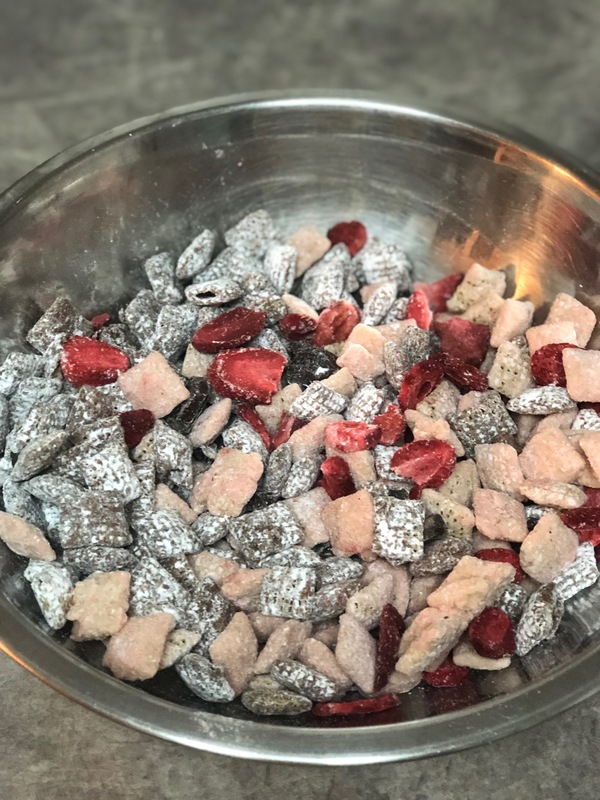 Chocolate Covered Strawberry Puppy Chow is the perfect Valentine’s Day treat for children and adults alike! 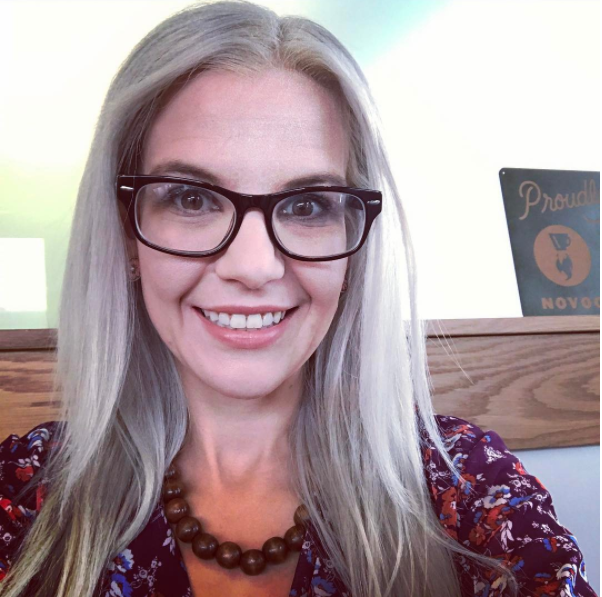 I promised that I would blog a lot more this year, and so far so good, I have really stuck to it! To keep it up, I have really embraced the spirit of Valentine’s Day this year, and over the next week, I will be sharing daily Valentine’s Day recipes. 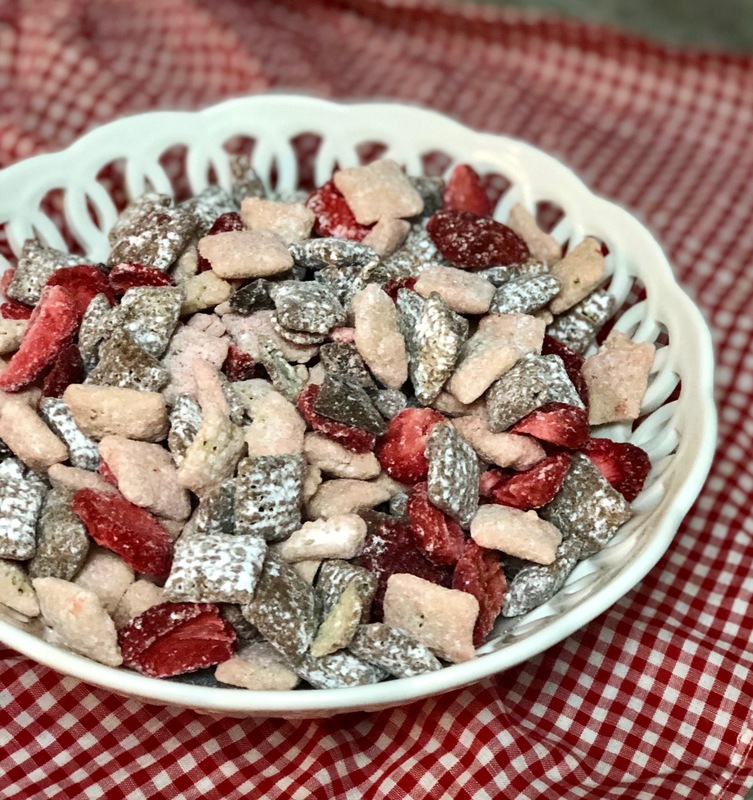 This Chocolate Covered Strawberry Puppy Chow starts off my Valentine’s Day week of recipes. 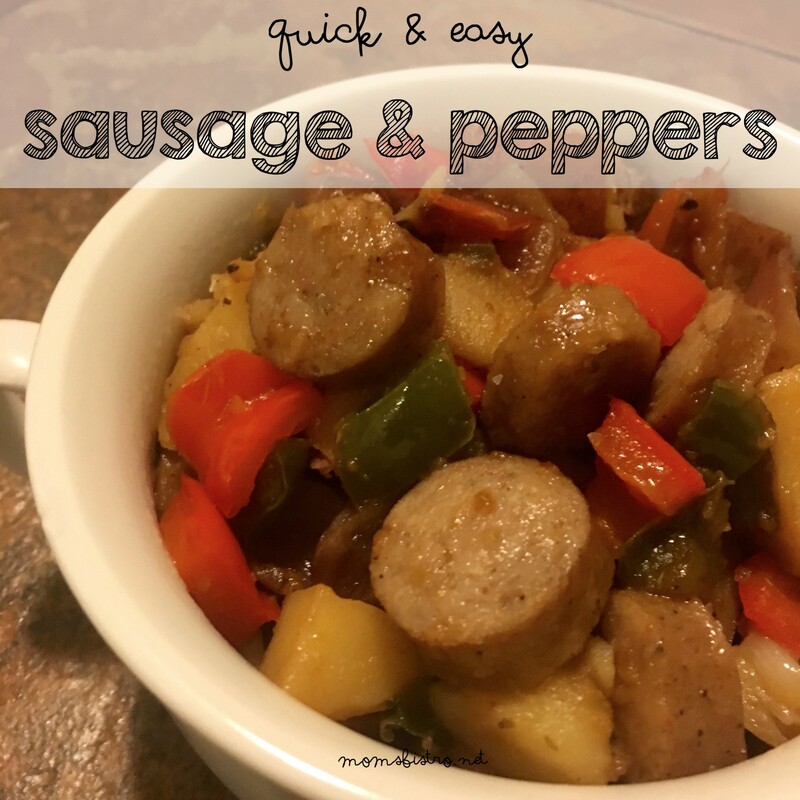 I shared a photo of it on Facebook and Instagram, and you all loved it so much, I knew it was the first recipe I needed to share. 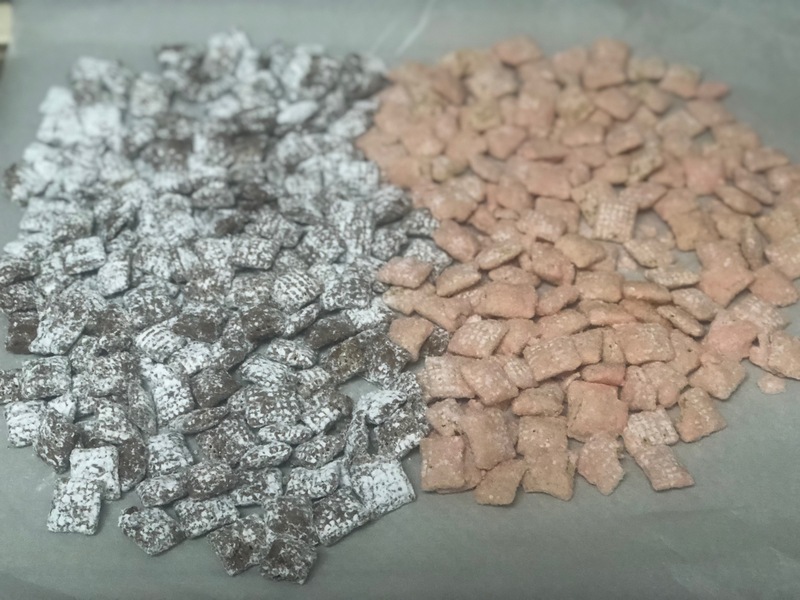 I love Puppy Chow, and always end up making extra so that I can snack on it while I am cooking. I originally though that I was just going to town on the puppy chow because of the Nutella, but then I tasted the strawberry pieces and oh. m. gee… this is some good stuff. 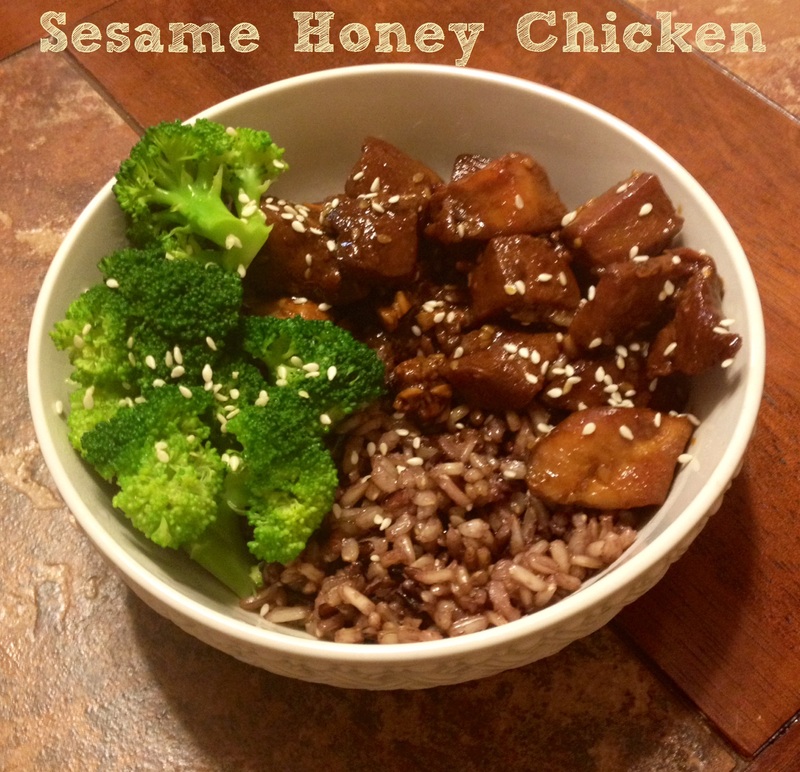 And, like most of my other recipes, it’s super easy to make. What made me realize that this Chocolate Covered Strawberry Puppy Chow was a big hit was when my girlfriends were over for our blog planning night (momguilt.net), and I set it out for them to sample, and next thing I knew the entire gallon-sized ziplock was empty. 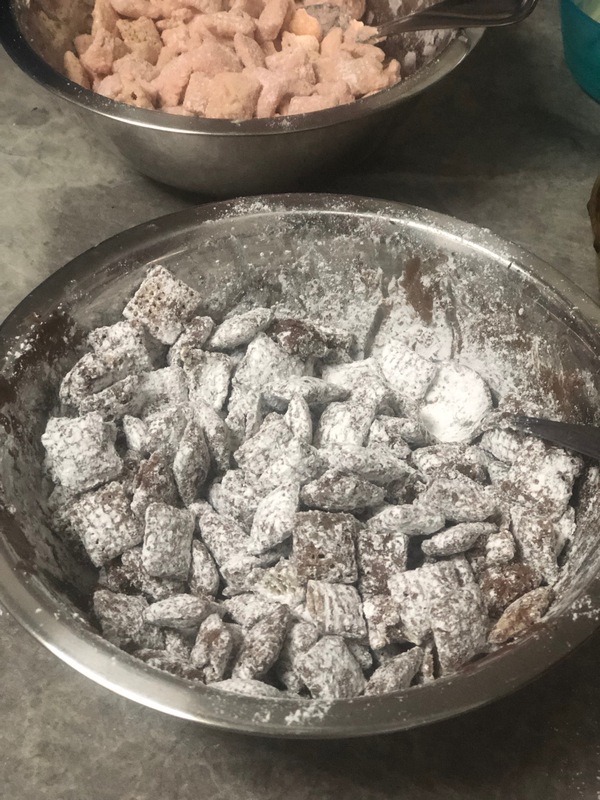 Anthony and I have decided that we will be combining both this puppy chow, and the Valentine’s Day puppy chow together for his class for treats for Valentine’s Day! I’m not gonna lie… I’m pretty damn excited to make it with him so that I get to eat some more. In a large microwave safe bowl, melt white chocolate chips, stirring every 20 seconds until smooth. Add in half of cereal and lightly stir to evenly coat. 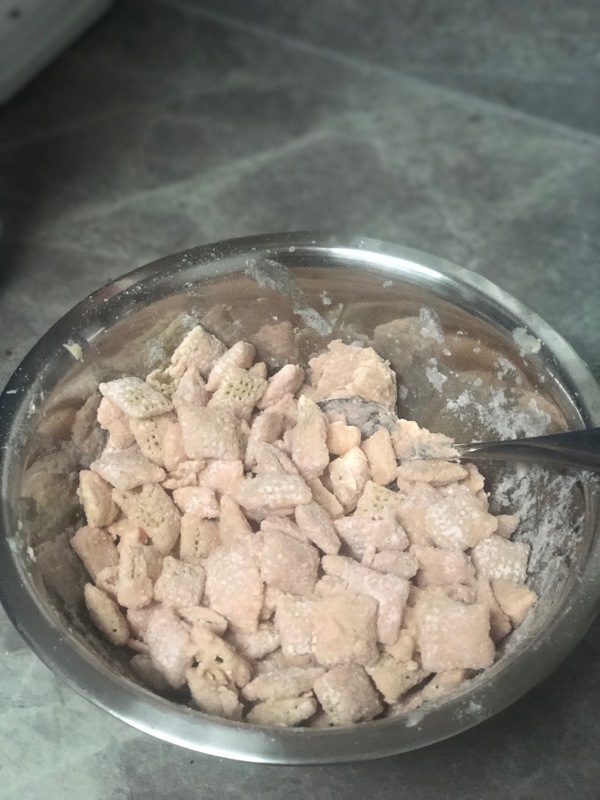 Add the strawberry cake mix to the white chocolate covered cereal and lightly stir to completely cover. Spread in an even layer on a baking sheet lined with parchment to dry. In a second large microwave safe bowl, melt milk chocolate, stirring every 20 seconds until smooth. Add in remaining cereal, and repeat same process with powdered sugar, evenly coating all cereal. Allow each to dry completely. Combine together with dark chocolate and freeze dried strawberries.